Her name in the real world was Margaret Jessel but, to separate “this” life from “that” one, she now went by the name of Toots. She sat on a bench in the park in the sun, her arms folded across her chest. When she heard someone coming, their feet crunching the leaves, she opened her eyes and squinted into the face of her friend, a girl she had come to know as Vicki-Vicki. “How are you feeling, old girl?” she asked as Vicki-Vicki sat down beside her. “I feel like I’m about a hundred years old,” Vicki-Vicki said. “If I gave you the money for a bus ticket, would you use it to go home?” Toots asked. “There’s the conundrum of life,” Toots said. “I see ghosts in the cemetery,” Vicki-Vicki said. “Better than that,” Toots said with a grin. She opened her coat and showed a lady’s patent leather pocket book. “A promise is only as good as the person who makes it,” Vicki-Vicki said. They made their way up the hill to where Toots had parked her old car, a seventeen-year-old heap of indeterminate make and model. “You’re the only bum I know who has her own car,” Vicki-Vicki said, laying her hand on the dash as if petting it. “Here today, gone tomorrow,” Toots said. “I’ll remember that,” Vicki-Vicki said. “It probably wouldn’t work with somebody as young and pretty as you are,” Toots said. With a wrenching sideways motion and without slowing down much, Toots pulled into a gas station and hailed the attendant like a woman of substance and asked him for two dollars’ worth of gas. “It’s just side-splitting comedy all the time,” Toots said. It was about dinner time, so after leaving the gas station Toots drove to a nice quiet place where they could get a good meal and cheap. It was a cafeteria kind of place where you go in and pick up your tray and silverware and get in line and pick up the food you want from the tables in front of you and when you get to the end of the line you pay the cashier and after you’ve paid your money and been handed your change, you sit down and eat. She kept the patent leather pocket book dangling from her arm in plain view so nobody would look askance at them and think they weren’t able to pay. After they loaded up on fried chicken and other unaccustomed delicacies, Toots paid with a flourish and they sat next to a window and enjoyed the best meal either of them had had for a long time and watched the daylight outside as it faded into night. After they left the cafeteria, Toots stopped at Millie’s Package Store to pick up a bottle of Old Crow bourbon and then it was on to the hotel. The Edison was a six-story brick structure dating from the 1920s. It was on the edge of the less savory section of the city but still maintained an aura of respectability. Toots parked the car in the “customer parking only” space behind the hotel and she and Vicki-Vicki walked around to the front and went inside. “I want a room for tonight, my good man,” Toots said to the desk clerk. While Toots was fumbling with the money to pay for the room and signing the register, Vicki-Vicki looked around and saw someone she knew in the hotel lobby, a man she had met when she first came to the city. She couldn’t remember his name at first but then remembered it was Sid Gooch. “Vicki-Vicki!” he said, stepping forward and giving her a hug. “Do you remember me?” he asked. Toots turned around and looked at him. “Who is this?” she said. The clerk gave Toots the key to room four-two-eight and she took hold of Vicki-Vicki’s arm and pulled her toward the elevator. “I’ll be around if you get lonesome later!” Sid Gooch called. “He looks like the unsavory type,” Toots said after the elevator door closed. “I’m the unsavory type, too,” Vicki-Vicki said. The room was clean and tidy. With so little furniture in it, it seemed unusually large. Vicki-Vicki crossed the room to the window and opened it. “Thinking of jumping?” Toots asked. Toots took the bottle of Old Crow out of the patent leather pocket book and kicked off her shoes and lay down on the bed and began drinking. Vicki-Vicki went into the bathroom, locked the door and turned on the hot and cold spigots on the bathtub. She took off all her clothes, piled them in a heap on the floor and got into the tub, slowly at first because the water was so hot. She soaped herself all over, including her hair, and then rinsed and did it all over again. When she was finished with her bath, she wrapped herself in a big white towel and, since she didn’t have any clean clothes to put on, she rinsed her underclothes out in the sink and draped them over the edge of the tub to dry. She would sleep in the raw if she had to but she didn’t feel comfortable doing that with Toots in the room. While she was doing these things, she thought ahead to tomorrow and what the day would likely bring. She would keep company with Toots for a while and see how she planned on spending the rest of the two hundred dollars. Toots was asleep on the bed, breathing heavily through her nose. 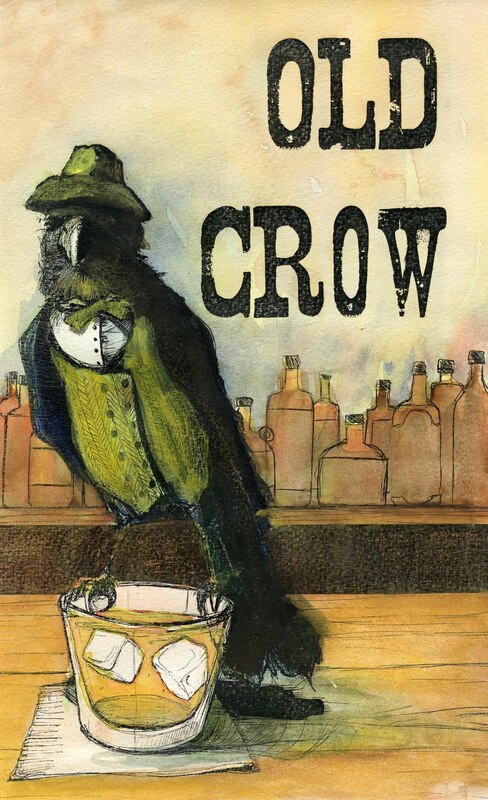 She had drunk about half the bottle of Old Crow and was in danger of spilling the rest, so Vicki-Vicki, still wrapped in a towel, took the bottle from her hand and set it on the bedside table beside the patent leather pocket book. The room was quiet and she didn’t want to make any noise to wake Toots. With nobody to talk to, she might as well get into bed and try to go to sleep herself. Oddly enough, she didn’t feel tired or the least bit sleepy. She sat at the foot of the bed and leaned back against the metal frame and begin picking at her fingernails with a bobby pin when there came a soft tapping at the door. She stood up and opened the door an inch or two to see who it was. She was not very surprised to see Sid Gooch peering in at her. “Is grandma here?” he asked. “What of it?” Vicki-Vicki said. He whispered in her ear again. She was shocked and also stimulated by the words and by his hot breath on her skin. She found those six words more comforting than anything she had heard in a long time. She went back into the bathroom and struggled into her clothes, afraid that Toots would wake up and ask her what she was doing. But Toots didn’t wake up and Vicki-Vicki slipped into her shoes and grabbed the patent leather pocket book with nearly all of the two hundred dollars inside and went out the door as quietly as she could. Sid was waiting for her, as he said he would, leaning against the wall smoking a cigarette. Instead of waiting for the elevator, they ran down the stairs, trying to be quiet but hardly able to keep from laughing. Posted in Uncategorized and tagged A Good Meal and Cheap, Allen Kopp, fiction, short story. Bookmark the permalink.